As I write this column, it’s a nice, toasty August day, but by the time many of you read this, your Formula is either slated for winter storage or it’s already there. But before long, winter shows will be in full swing, and you’ll be itching to get back aboard your Formula. Well, what’s going to stop you? There’s always something you can do to make the transition easier, regardless of whether your Formula is stored in a heated building, or even in the water further south, so put on your parka and stocking cap and get reacquainted! 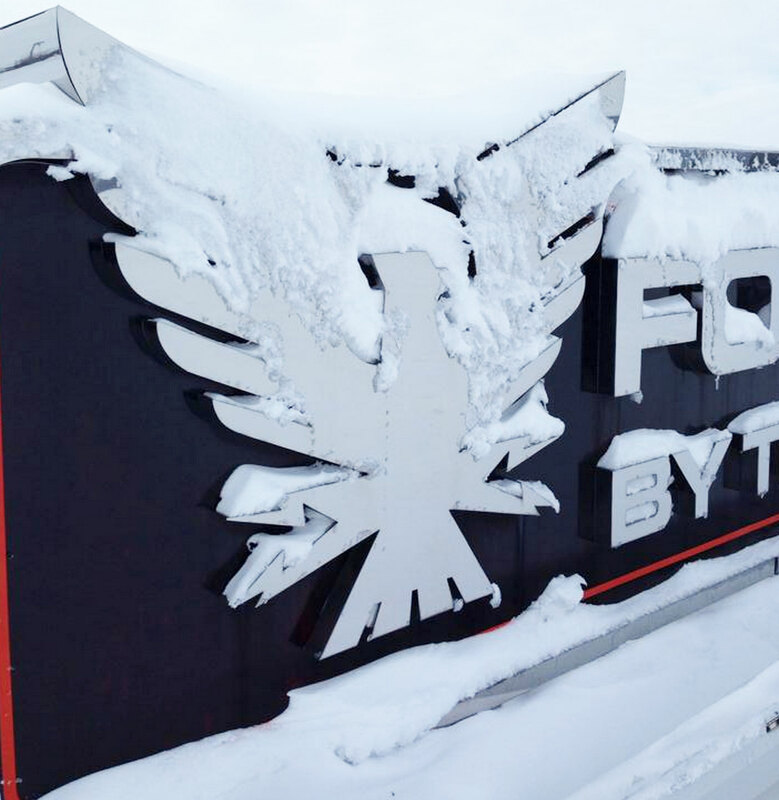 If your Formula is spending its winter slumber outside, odds are you’ve got it shrink-wrapped; even so, it’s worth a visit to the yard. The first thing to do is what you always do when you see your boat: step back, admire the fine lines and remember what a great lifestyle purchase you’ve made. Then do a walk-around. Start at the top, taking a look at the shrink-wrap. Is snowfall accumulating? If so, does it appear to make the shrink-wrap sag? If possible, it’s a good idea take a broom and remove what you can, and make a point of clearing accumulation around the shrink-wrap vents to encourage air circulation and discourage moisture. Don’t take unsafe chances trying to reach snow without using a solid platform or by leaning out too far. Walk around the outside of the boat and see that all shrink tape is still securely attached to boat coat and shrink-wrap. while you’re at it, double-check to see that a hole was cut and taped around the fuel and a critter hasn’t taken up residence inside. Visually inspect the shrink-wrap to see that an animal hasn’t gained access to the interior of your boat by chewing its way in. I realize that many loathe cutting a slit in the shrink-wrap before spring, but sometimes a zippered opening can be installed for off-season access, or you can tape the hole back shut. If you’re up for it, crawl on in for an inspection. Keep an eye out for moisture, mold or mildew taking hold. Towel up any moisture and deal with any growth with appropriate cleansers and disinfectants. Do another critter check and handle as needed. Take a peek inside your cabinets and other spaces to ensure that the winterization process appears to have done its job. Finally, crawl back out, close the access hole, drive home and consider planning a trip to a winter boat show. As in outside storage, a walk-around is your first step. Again, animal visitors can be a problem, and can actually be more of a nuisance inside a shelter. often, after they breach the outside walls of the building, getting to an even cozier spot inside your boat can be a real temptation. Perform the moisture checks as noted above and since you’re indoors, you might even consider giving the vinyl a good cleaning if needed. If your Formula is covered with a storage or cockpit cover you can easily remove, give the batteries a full charge. If you have shore power in your model, plug it in and turn on the boat’s automotive charger and hook it up to your batteries. 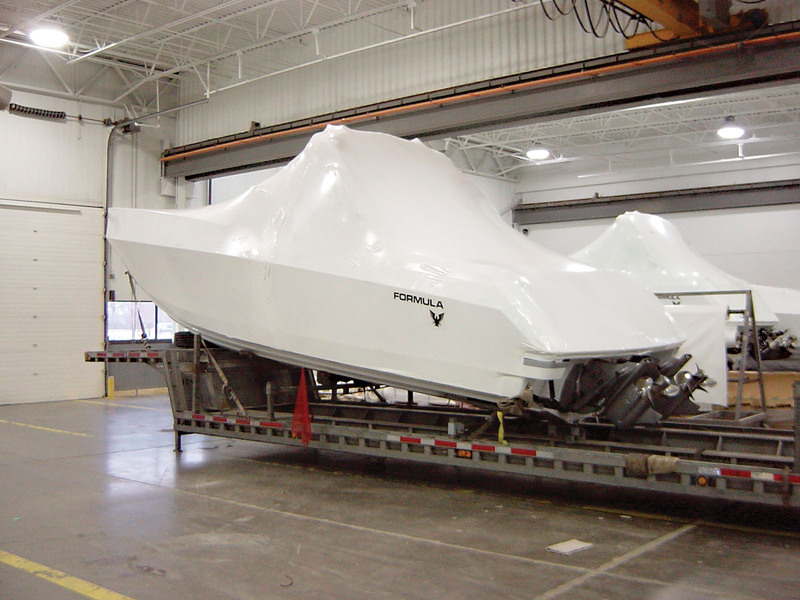 If the boat is shrink-wrapped, do not charge the batteries inside the boat as hydrogen gas could build up during charging–it’s best to physically remove the batteries from the boat to juice them back up. Inspect the cover for dust or droppings. If necessary, remove the cover. Shake or sweep off dust and dirt, and clean the droppings off with warm, soapy water, then rinse and pat dry. If the boat’s deck is exposed, wash off any droppings. If left to sit, odds are they will stain. you may want to consider adding a lightweight plastic sheet over the storage cover and deck if the situation is bad enough. 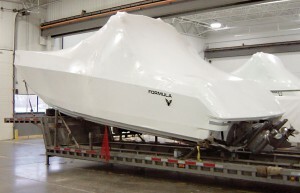 Reinstall the batteries, turn off the battery switches, cover the boat and treat any winter blues as detailed earlier in this article. Even in milder climates that allow for in-water storage, a boat is used far less often and will sit idle for long periods. Put on a sweatshirt and pay your Formula a visit every couple of weeks at the least. If it is not plugged into shore power, batteries can easily become drained. Check that the bilge pump is running from time to time! Pull the cover off the boat and check the battery voltage, be prepared to charge them if necessary, open up the engine hatch and check vital fluids. Turn on the bilge blower for at least four minutes and fire up the motors, Let them idle until warm. If the weather’s suitable, cast off the lines and go for a spin. Upon returning, rinse off the boat and clean and dry as needed. Turn off the battery switches and cover the boat. Then go home and call a friend up north about your boat ride. You’re a lucky dog. Even if you’re already stuck in the grips of winter, don’t fret. Warm weather and spring are just a few short months away.